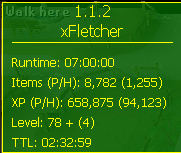 All in one fletching script with cut -> string support. That paint is gorgeous. Very ninja turtles. Updated with a few fixes. 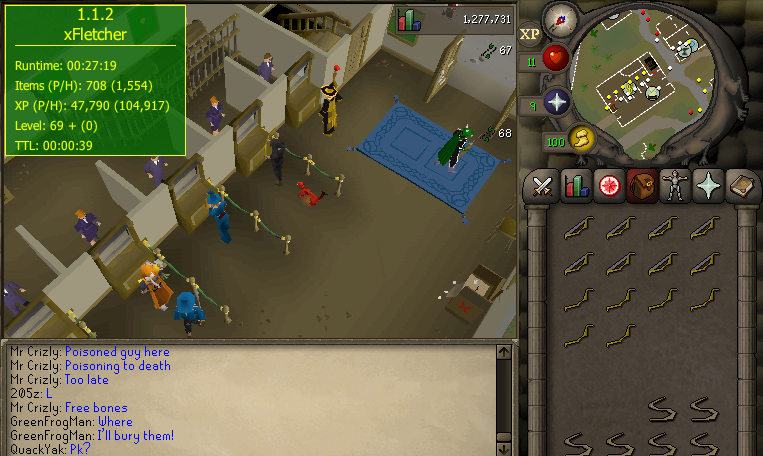 when i try to cut and string the bows it keeps puttin 27 logs into my inv and banks it again and over and over. 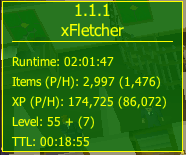 What are you trying to fletch? That doesn't help me in the slightest. 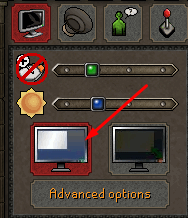 I'll rework the clicking, thanks! 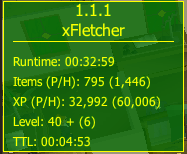 Update with no version change to improve the human like click algorithm I have implemented. everything was working fine with it last night but today it's not working properly. 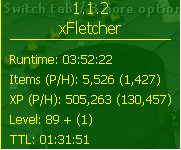 It made me a bunch of magic longs (u), but it wont string them. It fills up the inventory, uses the bow and string together over and over again without ever hitting "make x longbows". Any suggestions? Updated with a crucial bug fix. Script will be patched shortly. EDIT: Script rebuilt! 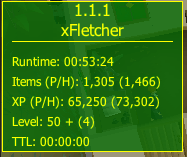 Please restart the script if you have it running for the patch to take effect. 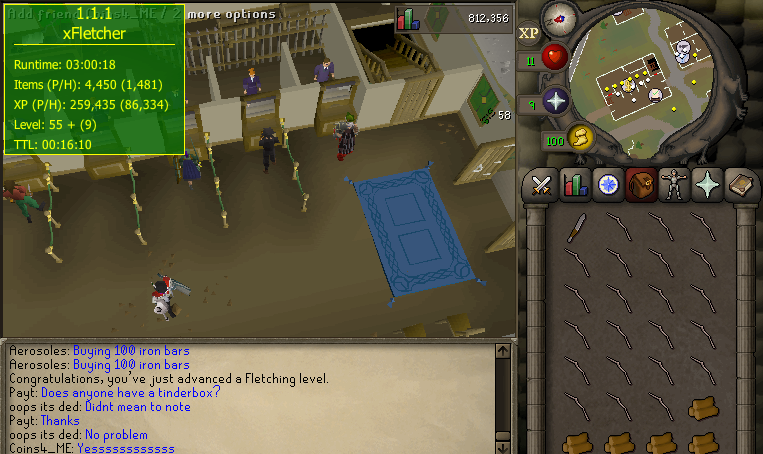 Everytime the bot banks its fletched logs, it grabs another knife in the inventory. For now just only have one knife on your player. I'll get a fix out shortly. 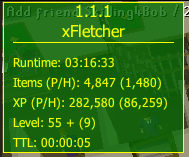 Don't fletch in the GE. 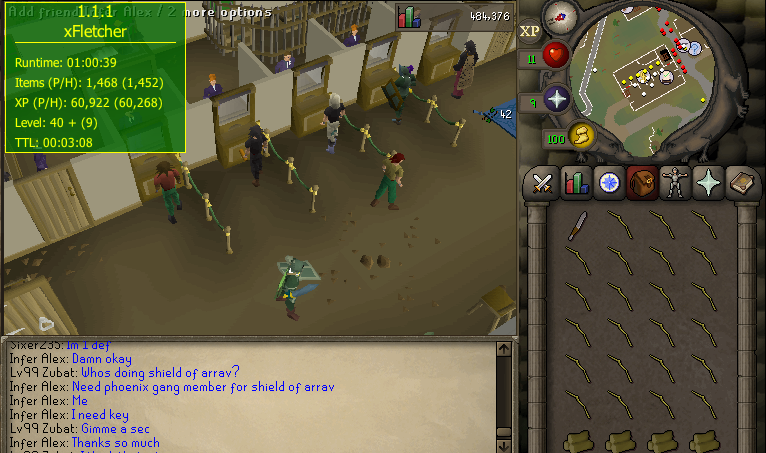 The script is banking properly using the closest bank available however this is extremely small and almost impossible to click on even as a legitimate player (I think it's a part of the GE fence around the bankers and exchange people, not to sure though).